You Are Here: Home > Download Your FREE Leasing vs. Buying: The Complete Car Shopping Cheat Sheet eBook Today! The time has come for a new car. You’ve picked out a model, selected your trim, and crunched some numbers. However, you’re still torn over financing. Should you lease the car or buy? A car is a huge investment, which means buying one isn’t a process you should step into blindly. 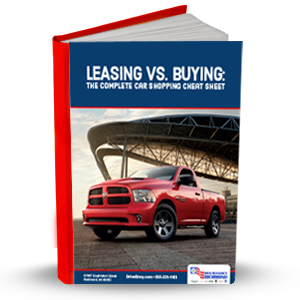 Download the FREE Leasing vs. Buying: The Complete Car Shopping Cheat Sheet eBook today to prepare yourself!